Item is a photograph taken during the opening of the Trace Analysis Research Centre (TARC) at Dalhousie University. 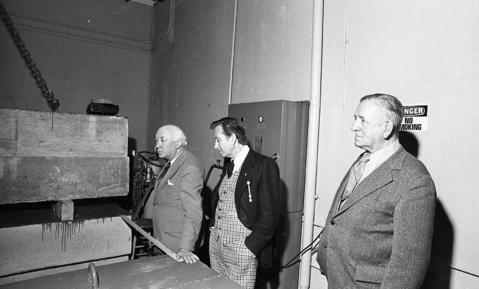 The photograph shows attendees at the opening, including Henry Hicks, looking at a large piece of scientific equipment. Item is accompanied by a proof of the photograph.